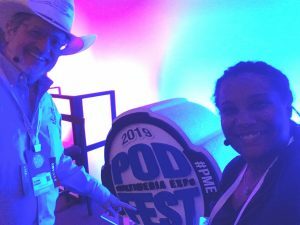 Jaime and her Florida Podcast Network partner, Glenn the Geek, had a GREAT time with everyone at this year’s Podfest Multimedia Expo, where they definitely kept themselves BUSY!! 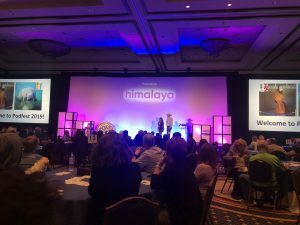 Thank you for the invitation, Podfest! 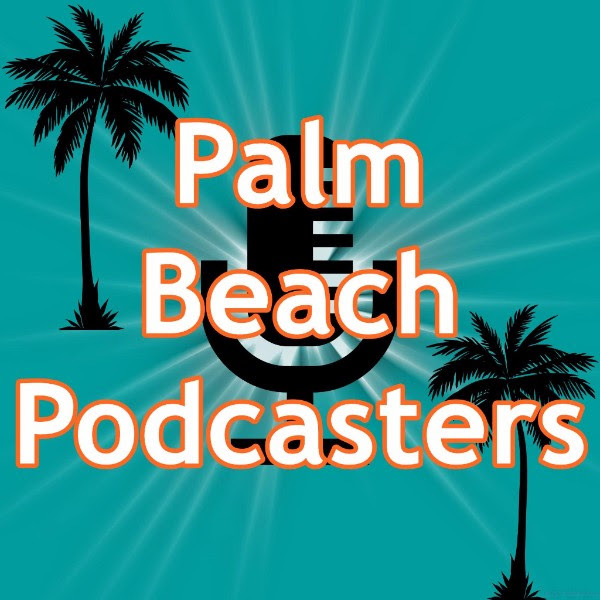 Leading up to this year’s Podfest, founder Chris Krimitsos asked Jaime and Glenn to be Ambassadors for the event and help spread the word, which they were more than delighted to do! 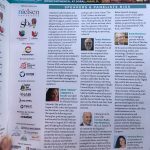 They interviewed several of the other event speakers to gin up interest and help fill the rooms. 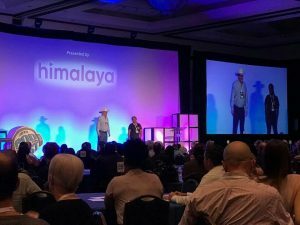 The biggest honor for them was being asked to kick off the entire conference as Opening Key Note Speakers. Jaime and Glenn held the main stage for about 10 minutes, speaking to the crowd on how to make the best out of Podfest: by making connections. Jaime and Glenn are certainly two VERY different people; but, they made a solid connection two years ago at Podfest 2017, and the rest has been magical podcasting history!! 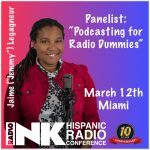 Geo-local podcasting is not only a powerful new trend in podcast niching, but is also Jaime and Glenn’s specialty, as they are building the Florida Podcast Network together. 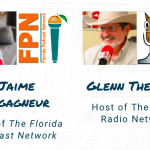 So, for Jaime to be asked to be a part of Podfest’s Geo-Local Podcasting panel while Glenn moderated was a dream for the FPN team. AND, Glenn also did a stellar job moderating the Networking panel the day prior (while Jaime handled the Q&A mic and clicker duties, lol). 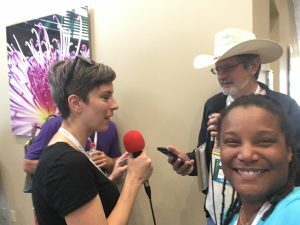 Not only did they get to meet some great people after the panel who are interested in geo-local podcasting (particularly in Florida–woot! ), but they also received excellent and much-appreciated accolades. 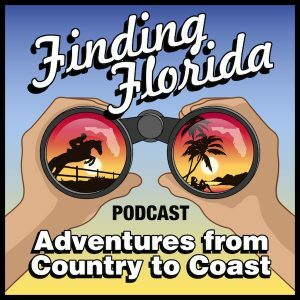 While enjoying all of their Podfest duties, Jaime and Glenn also had a mission of recording an episode of their Finding Florida Podcast, with the concept being centered around “workations.” Whether extending a business trip an extra day to explore the local sights or bringing the family along for a vacation, Jaime and Glenn not only interviewed fellow podcasters about their Podfest workations, but also turned the trip into one for themselves. 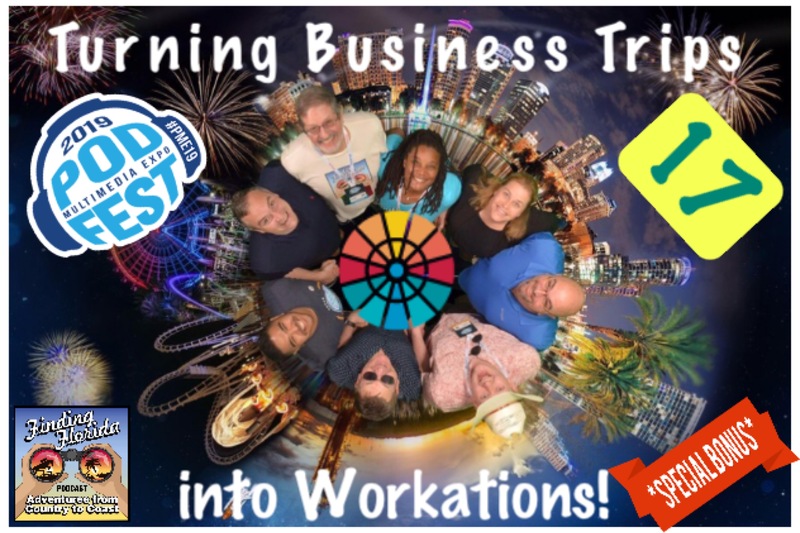 They took friends and listeners along with them to the ICON Orlando 360 and saw the sights from 400ft in the air! Learn More About Podfest Multimedia Expo!